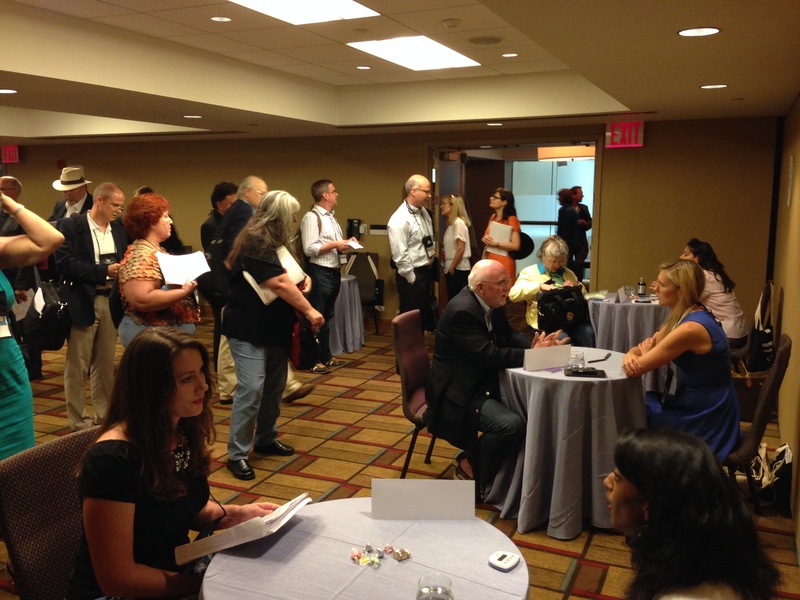 During the second half of day two of ThrillerFest was AgentFest, which is best described as speed dating between aspiring authors and agents. Hundreds of authors looking to get published lined up in four or five rooms waiting to have five minutes or less to pitch a book to a variety of agents. The agents were very nice to the authors, and they had timers to make sure each person was given a fair shot. This went on for three and a half hours. In the end, some authors were asked to email the agents a few chapters or an entire manuscript, while others were kindly rejected. The rooms were filled with so much hope and anxiety it was palpable. In case you’re curious, I didn’t pitch anything; my books aren’t far enough along to warrant a review, but next year, who knows.